Seventeen-year-old Rémy is a Conjuror – someone who can alter reality with his music. But such a talent comes with a price. He and his superpowered friends, Matt and Em Calder, are engaged in a dangerous battle to save humanity as we know it. If they are to succeed, they must first decide who to trust. An amoral seventeenth-century artist? A quick-witted gang leader? Or a nephilim, half-angel and half-human, with silver-flecked wings? 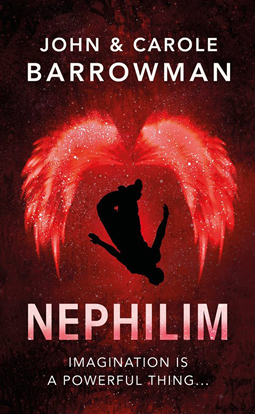 Nephilim was published in the UK on May 4, 2017 and the US on July 1, 2017 by Head of Zeus and is available for purchase from Amazon and other booksellers.